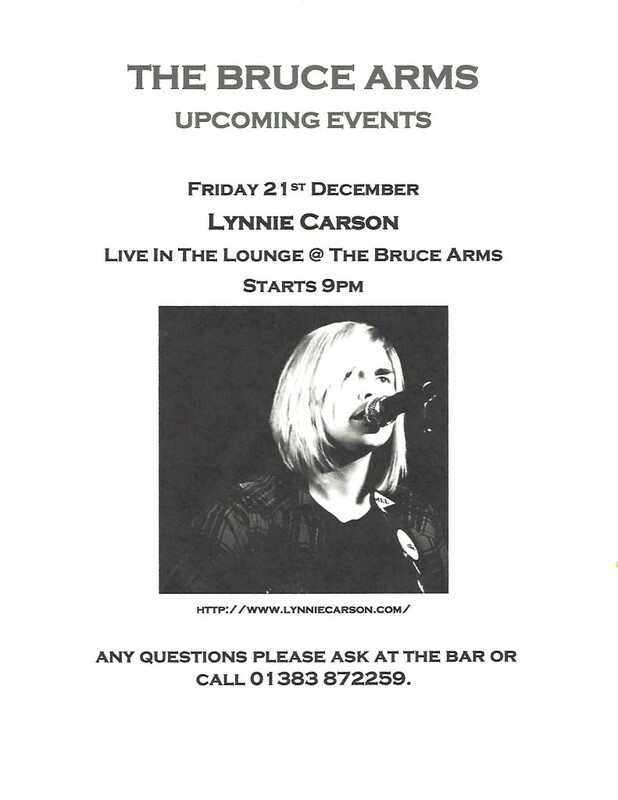 We are delighted to welcome back Lynnie Carson live in the lounge - starts at 9pm. Lynnie Carson is a singer-songwriter who hails from the rain drenched, former fishing town of Gourock, Scotland. Renowned for her live performances she has a voice reminiscent of her sheroes Stevie Nicks and Sheryl Crow, who she cites as some of her main influences along with Neil Young, Joni Mitchell, The Band, First Aid Kit & John Grant.